She got her Wyatts crossed. It’s easy to do. Sir Tom’s love to the end was Elizabeth Darrell, one of Katherine of Aragon’s most faithful ladies. They openly lived together. So far as I know, Thomas and Elizabeth Brooke never got their divorce; she remarried after his death. And we all know his son married Jane Haute. There was a bright spot in the disappointment – I didn’t know about the Haute/Wydeville connection. I threw myself into ancestry.com and hope you’re as excited as I am to learn more about this branch of our tree. If memory serves, Edward IV made a somewhat violent pass at (our Aunt) Elizabeth and she resisted. Of course he was smitten by any beautiful woman with morals, so he married her. He was a fun, earthy king – someone we might enjoy having a beer with. He remembered names and treated commoners with uncommon friendliness. Henry Tudor’s brilliant mother Margaret Beaufort plotted a match between Elizabeth’s daughter and her son; Richard III was vanquished, the marriage took place and our Haute line joined the Tudor line to Henry VIII himself. Worst cousin EVER. Imagine what this means to our relation to Queen Elizabeth. Since we’re related to Anne Boleyn through Elizabeth Brooke, we’re related to her mother and her father. The generational distance shown here is mine and I’m a baby boomer. If you are too, the distance should be fairly close. Add, subtract, or hit ancestry.com to work it out on your own. 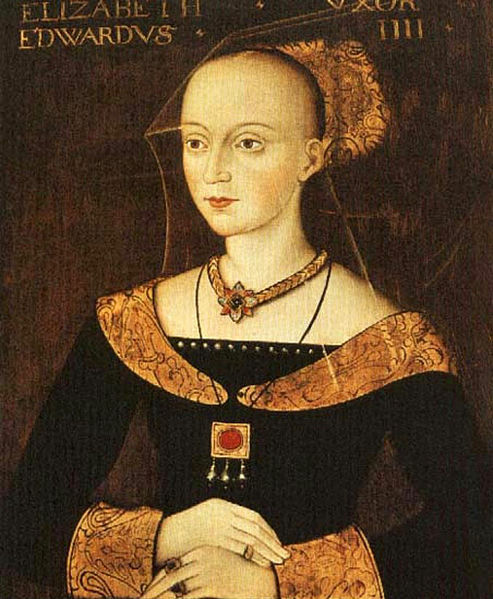 Joan Woodville, wife to Sir William Haute/Hawte was actually the aunt of Queen Elizabeth Woodville, wife of Edward IV, not a sister. This lineage is well documented as one of their descendants was another controversial wife of a later King Edward (VIII), Wallis Warfield, Duchess of Windsor. This lineage is in her latest biography and Richardson’s genealogical books. This connection also makes “us” a cousin to Katherine Parr, sixth queen of Henry VIII (Joan was her maternal great-great-grandmother). This was from ancestry.com – thank you very much for the correction!